Sparkly Fashion: Sparkly News: Oasap, Women's High Street Fashion! 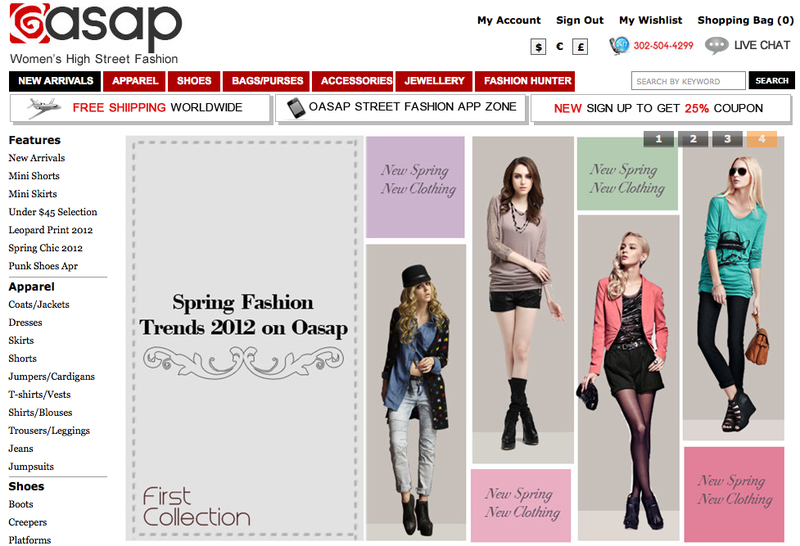 Sparkly News: Oasap, Women's High Street Fashion! Good morning my lovelies! It's Monday and I know how it's hard for eveyone starting the week! So I'm here to ease your day with great news! Do you love affordable and fashionable shopping online? If your answer is YES, this is the right place for you! About one week ago I discovered this new Women's Street Fashion online shop called Oasap which offers a great selection of reasonably priced and trendy clothes and accessories; every day they update the site with new stuff so the only negative thing is that it will be hard to choose what to buy ( negative for our purses, positive for our closet and mood )! Spring has arrived so it's time to refresh our closet so don't miss Oasap Spring collection, you might find the right items for you. Buongiorno! E' Lunedì e so quanto sia difficile cominciare la settimana! Quindi, sono qui per addolcirvi la giornata con una novità piuttosto interessante; amate lo shopping abbordabile ma di tendenza? Se la risposta è SI, ecco il posto giusto per voi! Circa una settimana fa ho scoperto Oasap, un negozio online per donna il quale offre una enorme selezione di capi ed accessori trendy ad un prezzo ragionevole; ogni giorno il sito viene aggiornato quindi l'unico lato negativo è che sarà molto difficile scegliere cosa acquistare ( negativo per i nostri portafogli, positivo per il nostro umore e guardaroba )! La Primavera è arrivata quindi è tempo di regalare una ventata di freschezza al nostro guardaroba, non perdere quindi la collezione Primaverile di Oasap, potresti trovare proprio quello che stavi cercando. grazieeee! vengo a dare una sbirciatina al tuo blog! That sounds lovely, I will check them out! Hi darling! thanks for your coment! Love this website, they became my sponsors a little while ago. Love your blog. If you like mine too and decide to follow via GFC, I'll follow back for sure. I heard about it, but Im gana check it ou in aminute ! thank you to share with us.